First, I can't come up with a good domain name. I've thought of www.fika.com but unfortunately, it's not available [Fika is the swedish word for coffee break]. I've then realized that it is going to be impossible for me to write in Swedish 100% all the time so to make life easier, I've come up with this idea of mixing both languages. I've wanted the www.swenglish.com domain but obviously, it's not up for grabs. Up to now, I am still wondering on a specific domain name that will match with the blog's title putting the title on hold, too. It's definitely giving me a hard time here! Second issue --- I've already chosen a cheap web hosting [http://www.webhostinghub.com/] provider [I like their features!] for my Sweng-Lish blog but I can't settle the issue on whether I'll go for a [dot]com or a [dot]se. Juggling between the options, I'll probably go for the first choice. For some reason, as per experience, [dot]com is easier to recall. So, we'll see! 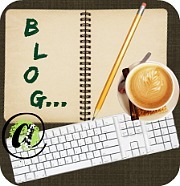 I'm falling far behind my original schedule on the launch of this Sweng-Lish blog. I just hope that when it's up and running, it's going to be better than expected. I'll be back after a short break! I guess my brain needs a break! Hugs! Hello Rose. Thanks for dropping by. Oo nga. medyo matagal nawala. Pero I am back. Hopefully, for good! Sure sure. When the Swedish blog's up and going, I'll be writing about basic swedish words and expressions there... Hugs! Hello and thanks for the comment. Yup. I've checked it out yesterday. the .com is a lot cheaper than .se. thanks thanks!